Freedom Rockz: FREE Birthday Phone Call from Nick Jr.
Get a FREE Birthday Phone Call from Nick Jr. Character! 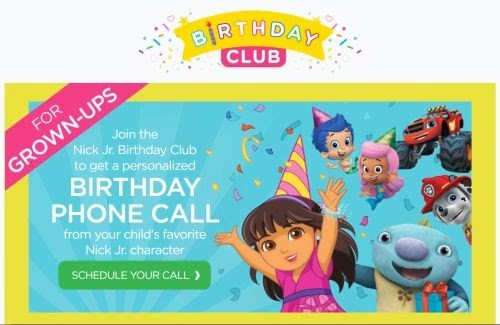 Join the Nick Jr. Birthday Club to get a personalized birthday phone call from your child's favorite Nick Jr. character. Happy Birthday to your little person from Nick Jr. Just click below to go to the website & sign up.